I popped into the main branch of the Napa County Library unannounced, as most people do. But maybe I looked suspicious, wandering around, stopping here and there to browse or take a photo. I didn’t think I was being watched until I’d passed the teen reading area. That’s when a guard made himself known. I nodded and smiled. By then I’d cased the joint. The small, one-level library included the usual high demand items that warranted security: computers, DVDs, CDs, audio books, computer games, and expensive reference materials. But all this was safe with me, and the guard backed-off. I passed through the periodicals with difficulty; there were so many magazines and newspapers I could have lost track of time. Since I was already made, I asked at the desk if I could get some answers about the library. After a nervous laugh and look over her shoulder, the clerk decided to call in the boss, librarian John Thill. Thill was brave enough to sit down with me and answer my questions. 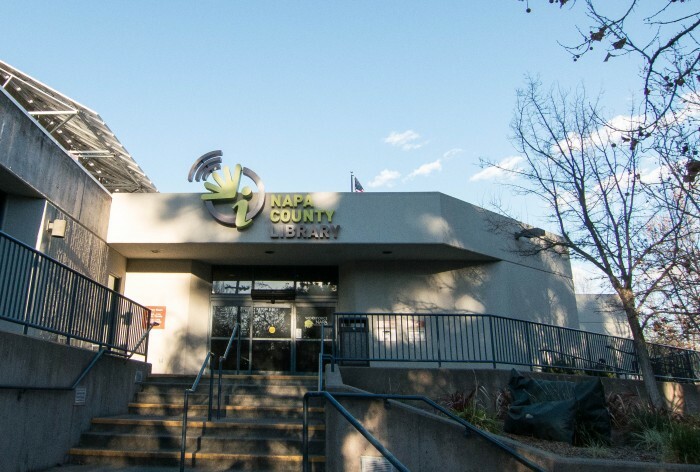 The main library of Napa County, right in downtown Napa, is complemented by three other branches, and averages an estimated thousand visitors a day, circulating some 600,000 volumes a year. 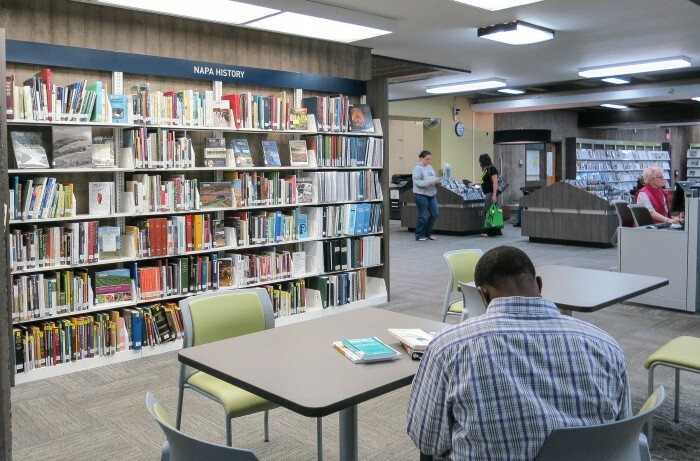 Without a lot of floor space, the building manages to accommodate the crowds, remain calm, provide relaxed seating areas (though not hidden), and offer amenities like open Wi-Fi, printers and copiers, literacy programs, and career services. The forte of the library, however, is threefold: Napa history, wine and hospitality, and Thill’s passion, the Spanish fiction section. The collection, he pointed out, is almost entirely original Spanish titles by Spanish writers, not just translations of popular English language books. It is rightfully a source of pride to Thill, given the large Spanish-speaking population in the county, where 27% of people identify as Hispanic or Latino. 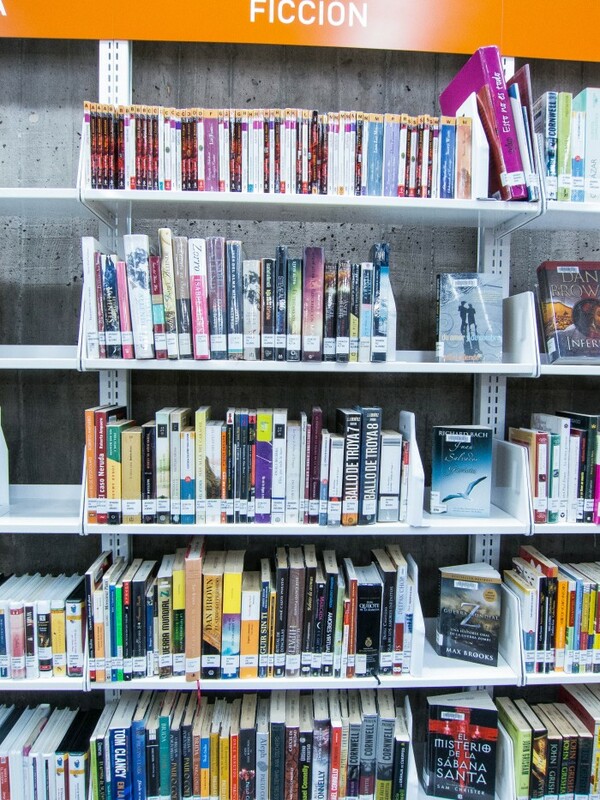 The county libraries have provided migrant farm services and community services for decades, and continue to manage a book exchange with Guadalajara, Mexico. Newest in the system is the American Canyon location, serving the fast-growing district on the southern edge of Napa County. “Previously the community had been served by a leased storefront location and prior to that the Napa County bookmobile.” This location has overtaken Calistoga and Yountville branches in circulation. St. Helena library operates independently, cooperating with both Napa and Sonoma County systems. Thill is a young and energetic librarian who, it seems, is intent on looking across the country for best practices in library operations. He asked about our library series and encouraged HMS Henning to visit the library in Salt Lake City, citing its exceptional children’s collection. Westward ho, we may get there this summer.